Sertifi, an electronic signature software provider, proposes four ways electronic signatures can benefit the home health industry. By making it a simple process that is hassle-free, it’s no longer inconvenient from a physician's standpoint. Four problems continue to plague home health agencies when it comes to excessive documentation requirements. Sertifi, a leading electronic signature provider, is spreading the word at health care conferences about its time-saving, hard copy document-reducing options for several required documents, including CMS Form 485 and face-to-face certifications, which are two forms that slow a home health agency’s ability to be paid quickly by Medicare and Medicaid. Form 485 is generated by home health billing systems and requires a physician signature before Medicare/Medicaid will pay for provided services. Face-to-face forms require physicians to certify encounters with patients before home care services are considered valid and payable. 1. Expedite document processing - orders sent by fax or courier tend to experience lag in turnaround time. Sertifi’s electronic signature software tracks documents and enables users to know where they are in the signature process. They also can send reminders for documents that haven’t been signed. Resolving this paperwork process electronically also saves time otherwise spent sending items via the postal service, courier or fax machine. 2. Dedicate more time to patients - time often is spent chasing paper-based documents instead of clinicians and nurses spending time on patient-focused activities. 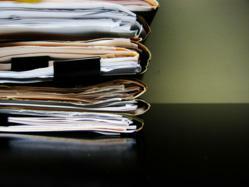 When health care professionals eliminate the paperwork burden, they are able to provide better care to their patients. 3. Eliminate worker headache - physicians frequently are frustrated by having to sign yet another document and sometimes believe the home health agency (not Medicare/Medicaid) creates this extra work. Job satisfaction results in higher worker retention rates. Not to mention, future referrals to the home health care agency could increase. 4. Reduce Costs - manually collecting signatures on documents such as these is thought to cost $10-$12 per document. Costs are reduced to about $3 per document by implementing an esignature solution such as Sertifi, says Hamilton Temple, director of sales for the electronic signature software company. To learn more about Sertifi, call 1-866-983-8877 or visit their website: http://www.sertifi.com. Based in Chicago, Sertifi provides leading esignature and Web contracting solutions that enable organizations to close agreements up to 30 percent faster. Sertifi is the industry’s most trusted esign provider and has processed millions of electronic signature documents.